Let the drums roll! 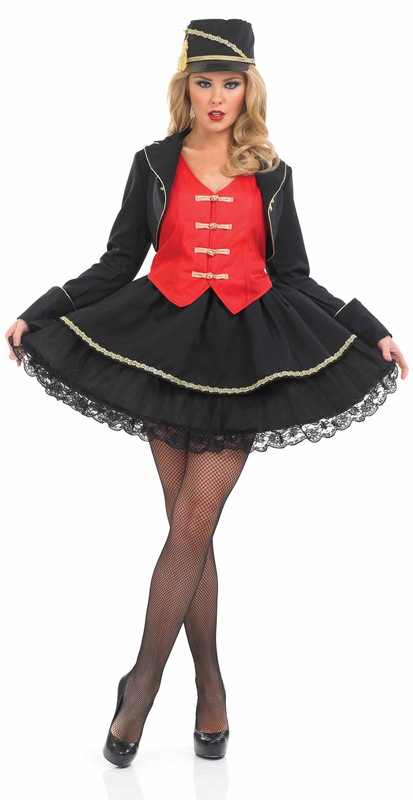 Lead the line on a fun night out in this gorgeous womans Drum Majorette costume. Included is a short black jacket trimmed with gold detailing and a red vest also styled with gold applique fastening's to the front. Completing this uniform fancy dress costume is a corresponding black tutu style skirt decorated a gold braided decoration and a black lace trim alongside a peaked drum major hat. Have fun all night long at any Sports or Uniform themed fancy dress occasion.